Kingi Taurua has a voice and a face that many New Zealanders know well, especially those in the north. Much of that familiarity comes from his work as a radio broadcaster and from his role as an influential Ngāpuhi leader. But it’s also a result of a colourful career which has included making an impact as a Northland College flanker in the days when they were holding the Moascar Cup (the high school equivalent of the Ranfurly Shield). And then there were his army days which had him in action not only in Vietnam but also in the UK on duty guarding the inmates of Buckingham Palace. There was more duty later on as a prison guard at Paremoremo – and as a political adviser at the Beehive in Wellington. So it hasn’t been a routine, predictable career path – as he explains to Dale in an interview at Radio Waatea. Those of us in broadcasting, and many others, too, know you as Kingi Taurua. But I understand there are others who know you by another name. How did that come about? When I got home, my parents (speaking in Māori, because they didn’t speak English) asked me what I was doing home. I told them, I needed a Pākehā name. Then a rooster went past — a rooster that one of my brothers had named Albert. So that’s what my father named me. And back I went to school the next day and told my teacher my name was Albert. That’s what I was called. Named after a damned rooster. So I grew up with that name. In fact, for years and years, I forgot about my real name being Kingi. And so I chucked that bloody rooster name right out the window, and I went back to my tūturu name, Kingi. Okay. But let’s go back to the start. Back to 1937. Where did you first see the light of day? I was born in Oromahoe, a little village in the Bay of Islands. I caught just the tail-end of the Depression. There wasn’t much kai at that time, and we were dependent on acres and acres of kumara, potato, watermelon, and corn. And we had coupons for butter, sugar, and flour. They were rationed in those days. My mum would ride into Kerikeri on horseback for those rations each month. That was about a six-hour round trip. Sometimes they wouldn’t last until the next lot and we’d be eating rotten corn with our milk — and taking rotten corn for our school lunch. I swore at the time that, when I grew up, I wouldn’t ever touch that rotten corn again. There were 10 of us and another 10 whangai stuck in a two-bedroom house. But, although we were short on kai at times, we weren’t short on aroha. We had a little farm with five cows. So we milked them, separated the cream and sent it to the factory to generate some income. My dad was a veteran of the Māori Pioneers from World War One. But his lungs were gone when he came home, so he spent most of his time in bed. And he died at 52. Were you one of the rural Māori kids that moved into town? Yes. I moved down into Auckland, into the city to look for work. Times were tough because there was a lot of unemployment. My first job was on the wharf and we had to start queueing about three o’clock in the morning. There’d be long lines of men hoping to get a job. The boss would walk around and say: “Yes. We want you … want you … want you.” And so on. It was hit or miss. One time, I missed out by one. They just got to me but then didn’t need any more workers. So next morning I got there really early to make sure I was in the front of the line. I used to look forward to the Tofua and Matua ships coming in from the Pacific Islands, because they brought in bananas. When I got on those boats I ate a hell of a lot of bananas. Next, I decided to join the navy but, before I got called up, I saw a sign saying join the army. So I applied there too. And I stuck with the army even though I was also selected by the navy. I was very happy to serve in the armed forces – which I did for about nine years. Most of the boys I served with are dead now. I served in Singapore and Vietnam and other areas I don’t want to talk about. I came home as a casualty of the Vietnam War and was discharged in 1967. And after that? What did you do next? I became one of the first prison officers at the maximum security prison, Paremoremo. Mr Buckley was the superintendent at the time. Prisoners were allowed only one book a week. There was no television or radio. Just the bare necessities. Mr Buckley was very supportive of D Block where Jorgensen and Gillies and all those kind of inmates were held. I worked in that area. And, while I was there, I did the exams in English, psychology, phrenology and public administration — and I became a senior prison officer. Eventually, I was sent down to Taupo where I was in charge of first offenders at the prison there. After some time in that job, I was shoulder tapped by a guy called John Te Rangihau. He said he’d like me to come to Wellington and help him implement a report called Puao-te-Ata-tu which was aiming to reform the social welfare system. There was a group of us working on that, including Apirana Mahuika. From there I became an adviser on Māori kaupapa to Helen Clark, Michael Cullen, Annette King and other ministers. Then, when Labour lost the election and Jenny Shipley became the Minister of Social Welfare, I became her adviser for several years. Eventually, she became the Prime Minister and I left there and came back home. I’d been phoned by the kaumātua and told to come home. At that time, some of the Ngāpuhi had signed the Sealord deal without the authority of the old people. I was asked to come back and establish the Council of Elders to make sure that the Treaty of Waitangi will never again be torn asunder. So I established Te Taumata Kaumātua, which operated for many years. Most have passed away now. The only guys left are Raumoa Kawiti and me. One of the many things that make you notable, Kingi, is that you brought the age-old practice of tā moko back to the North. Can you tell us about that journey? I was working for Ruia Mai in Auckland at that time as a broadcaster when I got a call from Ranga Hohepa, a 90-year-old lady, saying we need to see you. I was still the rangatira for the Council of Elders and they wanted me to come to the hui at Kawiti marae. The place was full. I was shocked when the elders said we would like you to take the tā moko. And I was reluctant to do it because I was a bit whakamā, mainly because I thought people would look at me as part of a gang. So I was very, very reluctant. Then they had another hui and they brought Eru Morgan and his TV cameras. They were taking pictures of the hui and so I felt I had to agree. The whole process was filmed. The kaumātua designed the moko, and asked Gordon Hatfield to do it. He and another guy started at five o’clock in the morning and didn’t finish until about nine at night. They not only did the moko on my face but also on my backside and legs. That was a long process. They blessed me, and eventually I went home. From then on, I was considered the leader of Ngāpuhi. It must’ve been awkward to start. And I imagine you took some time to become comfortable with the moko. It took quite a while, maybe over a year. Every time I walked past Pākehā people, I looked down towards my feet. I didn’t want to see the reaction on their faces. I was whakamā and afraid at the same time of what they might think of me. I had a kōrero with Reverend Māori Marsden about my problem with the moko and he said to me: “Keep looking up. Don’t you look down.” And so I did what he told me — and suddenly my whakamā disappeared and I felt okay. You’ve been a very strong advocate for te reo Māori and tikanga Māori, and you’ve been renowned as a broadcaster for the last 20 or so years. So you must’ve done some thinking about the role of the reo and the media. For me, Māori media doesn’t only mean the Māori language. For me, it means speaking in both languages. What excites me is that it is sending out Māori messages in both languages. I have aroha for those who can’t understand Māori. They are missing out. But you can’t wipe their Māoriness away from them. They are Māori. Māori media in both languages is a step forward for those who can’t speak Māori. I wanted Ruia Mai to broadcast in Māori and English and I suggested that. I got told off and I was reminded that it was a Māori radio station and would always only use Māori. When Willie Jackson rang me and said I should come to Waatea, I was so excited I hardly let him finish talking. I came because Waatea was doing both languages. Mihi nui Kia koe e te Papa! Mihi nui Kia koe e te Papa! Thank you for sharing a little of your life’s story that many of our people went through to make us who we are today! E te Papa na manaaki o te Rungarawa Kia koe me to whanau. 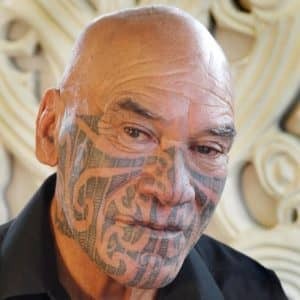 This is an interesting article and I loved reading about you Kingi and our Ngapuhi people thank you for your inspiration and aroha in sharing it here. Exceptional reporting Dale Husband. Your report, as always is informative as is your respectable portrayal of a true inspiring gentleman. Mr Kingi Taurua is a credit to Ngapuhi and is awe inspiring to all nga kiwi o Aotearoa. Dale you are to be commended. My wonderful young son put this link on his Facebook. I was proud he iacknowledged my homeland. I was totally blown away. We are not Ngapuhi but I’m so privileged and honoured to read your personal account. Mr Kingi Taurua you are a true treasure including your humility is definitely a rare quality. Ko te iwi kaha ki to koutou whakaaro nui, me te ārahitanga i roto i te take Maori i te iwi Ngapuhi. Tēnā koe Kingi, had a few giggles reading your kōrero, should’ve added the kumara story aye! Proud of your leadership for Ngāpuhi people and beyond. Ngā mihi manahau e koro. What an inspiration you are Kingi. I wish I had of taken the time to learn our language so I could teach my tamariki and moko’s. Wow, what a story. 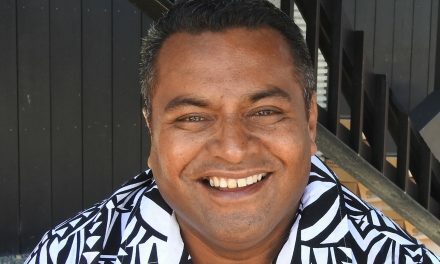 I always knew you as Alby mate, but after reading your story I will always call you Kingi! You were an amazing man to work with at Pare, and I always enjoyed your company in “the club”! He tino miharo kia koe chief, with respect. 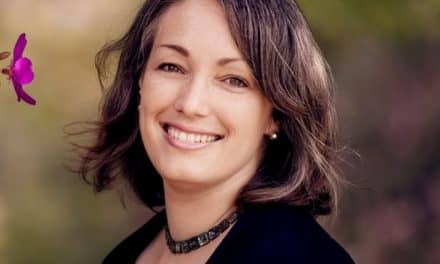 Very heartwarming article and great insight into your growing up and to the influences that shaped some of your decisions. I could’nt help but think back to my parents and aunties and uncles brought up around this era as they shared similar stories to yours, especially the change of name from maori to pakeha, as on my uncles first day of school he left with a maori name and returned with a pakeha one. Nga mihi kia koe e te Rangatira, Kingi, Paimarie. An insightful and humbling read. Outside of my family I have not heard mentioned the Tofua. The vessel Tofua; was how my parents immigrated here from Niue in the 50’s. Matua, to read of what you have been through and achieved, stands to reason why you carry yourself with such mana. A rangatira for Maori, A blessing for all. Faka aue lahi he koe ma matua. A very interesting article. I remember Kingi being in the Army and we all knew him as Albert. I often wondered why he changed his name, and now I know.!! I appreciate that you respect those Maori who do not yet speak the reo, like myself, and thank you for embracing both laungages. Fantastic read and thank you for enlightening the ignorant including I, of your whakapapa, mana and rangatira status, also your recognition and support for the many struggling to speak te reo. Your decision to embrace Willie Jacksons offer to broadcast on Radio Waatea in both languages promotes Te Reo to a broader audience. Stand at ease officer. And keep in line while your at it too. hahaha. Kia ora Kingi. Great to read this story. Make me laugh. Good laughs. Reminds me of the old man, Piwiki telling stories of youse all in the early days. lol. Humble living and aroha. I didn’t know you were a young Rugby champion too eh. Always look forward to catching up with you. Been awhile. Thank you for all the work and support you have done for us all. Kia ora Kingi. Can only reiterate “an incredible journey”..! Tena koe Uncle, I am so proud to claim you as one of the younger brothers of my mother your sister Te Rina who also was told to pick a Pakeha name hence also became known as Carol.i am also proud of your sharing your life for all to see the path you have chosen.There are many of us out there that do not Korero Maori or are of mixed blood be it Chinese Maori, Pakeha Maori, Samoan Maori, Niuean Maori be it what it may and even in our day are looked on as not being Maori or a Pacific Islander and as my own Nani ( the mother of you all including my mother)said to me ” you are nothing you are neither Maori or Islander” . There are many of us out there that regardless of our melting pot mix feel strongly “we are something we are Maori” and quietly and individually stake our claim whether or not we are of mixed blood or whether we Korero Maori. 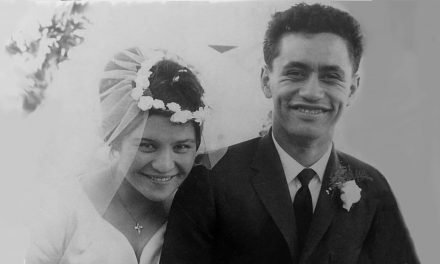 Thank you for insisting on speaking both Pakeha and Maori on Radio thank you for the love you had for my humble father and thank you for continuing to love my mother even though she broke the rules and married a Beautiful Pacific Islander in the days where this was unheard of and frowned upon. Nga mihi kia koe,te Rangatira. I could not help myself but to read on from seeing this on my facebook newsfeed, what a incredible journey you have had. Mate, I sincerely hope you have been mentoring people. Thanks for your comments especially re Maori language and English sitting side by side. I protested at school back in the 70’s about being forced to learn French. Learning Maori meant far more to me. I’m glad to see attitudes have changed. Thank you Kingi Taurua for doing something great for your people. I always admire my fello Maori friends who speaks their own mother tongue just like us Samoans. It is the palagi culture and language which mold us to a point where we nearly lose our identities. It is great to see languages and culture festivities are now allowed in schools in NZ. When I attended St Pauls College at Ponsonby in the late 70s this wasn’t the case with the exception of only 2 Samoans taking Maori language as a subject because of their association with their Maori friends at school. It has come a long way and once again thank you Kingi for being yourself and a true tangata whanua. I will this with as our saying in Samoan.” E lele lava le tava’e ae mama’e I ona fulu”. Meaning, no matter where the seagull flies it always takes pride of its feathers. Kingi Taurua you were born a Maori and Maori you shall remain. Ka kite ano and Tofa Soifua. Ae tino pai matua. This is an awesome legacy and have always admired your tenacity in the way that you uphold your mana and that of your people. 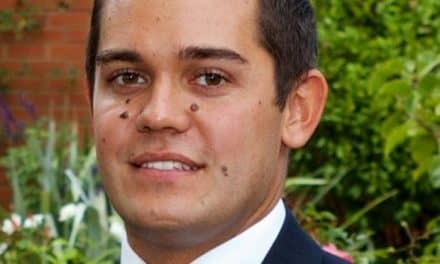 An excellent example of a NgaPuhi Rangatira…..much aroha manaaki tautoko marika awhina hoki……..beautiful interview. Thank you Kingi and Dale for sharing one of the most positive and uplifting korero that certainly pales all else into significance. So humbling. This is a mean read.